The following post is from Brett S. who is currently interning with Reynolds this summer. If you sit in a cubicle for a long time, it might affect your creativity. The best fix exists just beyond those four walls. Dayton has a lot of options available for you to enjoy the great outdoors and restart your creative juices. With many state parks and historic landmarks surrounding the Dayton area, the opportunity for day trips is nearly endless. Sycamore State Park will give you the chance to test out your fishing, hiking, and horseback riding skills in this 2,384-acre park. John Bryan State Park, located in Yellow Springs, contains a limestone gorge cut by the Little Miami River as well as a wide variety of wildlife. Miamisburg Mound State Memorial offers insight into the past of the native Adena tribe’s culture and a great view of the surrounding area atop an observation platform. Caesar Creek Gorge State Nature Preserve, carved out by glacial meltwater, allows you to look for fossils while also viewing the steep walls that rise 180 feet above the river. Consisting of 25 different parks and facilities, exploring them will give you a look into the Greater Dayton area. 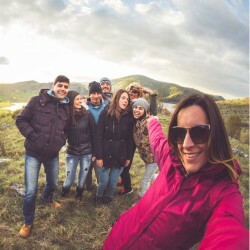 Each one offers unique opportunities – backpacking, camping, geocaching, fishing, etc. Altogether holding over 15,000 acres of land, 330 miles of bikeways, and 270 miles of rivers, there is no shortage of things or places to do it. This trail runs 75 miles along the Great Miami River. No matter how far you decide to go, there are many beautiful sites and locations to explore (Dayton Art Museum, Carillon Park, RiverScape MetroPark, etc.). The best part of this trail is the opportunity to bike, skate, rollerblade, run, or walk, always offering new perspectives however you decide to experience it. No, this is not the haunted cemetery from your nightmares. On the average day, you’ll find many dog walkers and University of Dayton students exploring the grounds. Its rolling hills and expansive land are the perfect place for a brisk run or a light walk. Being the highest point in the city of Dayton, it provides an impressive look at the skyline, offering the perfect Instagram picture. Taking advantage of the nature around you can help refresh your mind and recharge your creativity. All you need is some sunscreen, water, and a well-prepared playlist for your day of exploration.